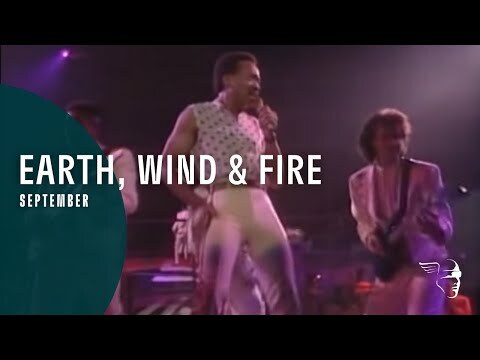 0 results found for "EARTH WIND & FIRE"
Although as the 80s dragged on, they eventually became a talented, yet sometimes bland pop group, this was not how Earth Wind and Fire started. Many would be surprised to know that the roots of this group go back to Chicago’s avant-garde AACM, and their first album was the soundtrack to the outsider classic, “Sweet Sweetback’s Badass Song”, on which EW&F played furious psychedelic fusion in the style of Herbie’s Sextet. After this rather obscure beginning, founder Maurice White decided to keep the creativity intact, but also aim for some radio play too. With all this in mind, EW&F grew to be a powerhouse in the world of RnB, fusion, rock and pop during the 70s, and many would agree that they hit their first major peak with the 1975 studio masterpiece, “That’s the Way of the World”. In the mid 70s, no other RnB or rock band carried as much pure talent as EW&F, their horn section could outplay many jazzers, their rhythm section could hold their own against WAR, Santanna or Weather Report, vocally they took arrangements to new heights in harmony and range, and finally, their compositions were modern, complex and way ahead of the field. Throughout the 70s, EW&F’s compositional approach was more influential on fusion artists than most other jazz artists. All through “That’s the Way”, EW&F tops driving syncopated African rhythms with floating abstract harmonies that recall Ellington and Debussy. Almost every song on here is a classic, with only one sore thumb, the rather cliché ballad, “All About Love”. Modernist ballads with soaring harmonies were EW&F’s trademark, so its hard to understand how this less than stellar cut made the grade, but its all made up when it is followed by a short and attractively bizarre synth instrumental. 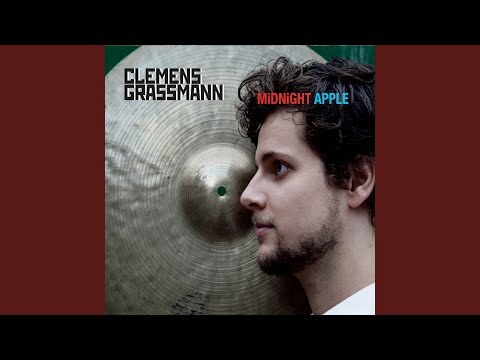 For fans who already like this album, you need to check out the album “Gratitude”, on which the band plays these songs live and takes their mix of Ellington, Beatles, Stevie Wonder and Ohio Players, to new levels. As mentioned earlier, as the 80s dragged into the 90s and beyond, EW&F, much like their musical compadres Chicago and Genesis, became more wind and earth, and much less fire. I’m often surprised at how many “Best Of” CDs and LPs I’ve accumulated over the years in amassing my humble collection of music. I’m one of those old-school dudes who believes that if an artist’s or a band’s material piques your interest then the only proper way to explore their art is to invest in one or two discs in their catalogue of albums and find out what they were doing on the “deep cuts” that didn’t get any airplay. That’s where you’re likely to find either the core of their un-commercial creativity or a lot of mediocre, time-wasting filler but you won’t know until you investigate. Unfortunately, my walk doesn’t always match my talk and I find myself being rather hypocritical as evidenced in the case of my buying Earth, Wind and Fire’s “Greatest Hits” at one point. The harsh truth is that economics more often than not trump my idealistic intentions and I’ll willingly spring for such a deal as this because I know I’ll like most of the songs it contains from hearing them previously and I won’t rue the investment of my limited funds. Someday if I become independently wealthy I may acquire every note of music they’ve ever recorded but until that glorious day arrives I’ll be content with this compromise. Let me just say that this group has always hovered on the edge of my musical consciousness since the dawning of the 70s. What I mean is that I found them intriguingly original when I had the opportunity to hear their tunes but, with my principal focus being firmly ensconced in the exclusive realm of rock & roll, jazz and classical for most of my life, I didn’t take the time to investigate their brave excursions into progressive R&B at all. Ergo, I had none of their records. It wasn’t until I caught them in concert with Chicago a few years back that I realized how many of their songs were very familiar to me and how much I liked them in general. This album seemed to have most of the tunes I really desired to possess so the next time I got one of those I-didn’t-know-what-else-to-give-you-so-I-took-the-easy-route-and-got-you-this-gratuitous-gift-certificate presents I used it to purchase this CD. With all 17 cuts remastered utilizing state-of-the-art digital technology, it more than meets all its obligations and requirements and it sure comes in handy when I need an emotional lift in my mood. The disc starts off with “Shining Star,” a great mix of rock and funk spread across an imaginative arrangement that provided them with their first crossover chart-topper in 1975. It superbly showcases their rhythmic approach to vocalizing that became so revolutionary at the time. “That’s the Way of the World” follows and this excellent R&B ballad sports a smooth, sensual groove that demonstrates they could apply tasteful restraint when the number called for it. The joyful “September” is next and it’s a fine example of how dance music doesn’t have to be trapped inside a monotonous, throbbing disco beat to get the job done. It’s a foot-tapping tune for folks that don’t readily tap their feet. “Can’t Hide Love” owns a slower funk vibe that allows their talented horn section to erect a fluid backdrop and also reveals leader Maurice White’s respect for the cool style of one of his early mentors, Ramsey Lewis. Their exciting rendition of “Got to Get You into My Life” is one of the finest covers of a Beatles’ song EVER. They pay homage to the original melody line by keeping it intact but they also make it their own by creatively expanding it exponentially in fantastic ways. “Sing a Song” is a positive statement of optimism that never stoops to patronize the listener. Their subtle use of deep synthesizer lines in this mid-70s recording proves that they were willing to let their music evolve as keyboard innovations sprang up in the industry right and left. “Gratitude” has a detectible Sly Stone atmosphere surrounding it but, while it’s not a bad tune at all, in the midst of so many jewels it comes off a bit dull in comparison. 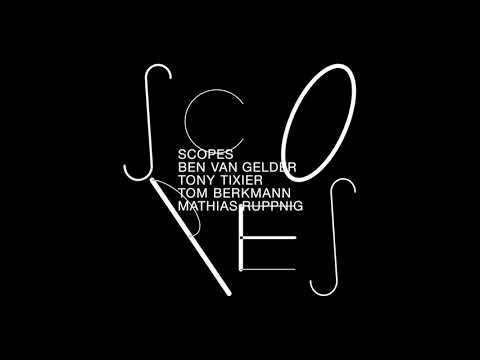 “Serpentine Fire” follows and it’s a funky-as-all-get-out track that digs far down into your gut and never lets go. Verdine White’s bass work is exceptional. “Fantasy” is next and its slightly schmaltzy opening belies the energetic pace the tune soon adopts. The whole romantic shebang comes off more as a vehicle to highlight Philip Bailey’s amazing falsetto-dominated voice than anything else. “Kalimba Story” has a strong rock attitude but it’s a step down in the intensity department at this juncture. Save for the inclusion of the African Kalimba itself it’s rather pedestrian in nature. A never-flagging-for-a-moment driving momentum and a host of red-hot singers propel “Mighty Mighty” from beginning to end, making it a funky treat. “Reasons” is a big, fat & lush ballad that lets Bailey cut completely loose with uncanny soprano chops that shouldn’t be emanating from the gullet of an adult male. The man’s a freak. “Saturday Nite” is a return to what the ensemble does best. It establishes an accessible rhythm and installs it to stroll beneath an involved yet classy chord progression on the bridges. 1981’s “Let’s Groove” is another highly-contagious dance number that sails like a hawk and the sound quality is extraordinary but, for my money, it’s only a warm up for “Boogie Wonderland.” I’ll concede that it’s blatantly disco fare but I don’t give a poot. This track is one of the few in that genre that I have an unabashed affection for so I guess I’ll just chalk it up as a guilty pleasure. I’m no dancer but I feel like John Travolta when this song plays. It’s the nazz. I’m also a sucker for elaborate, over-the-top pop extravaganzas and the splendid “After the Love Has Gone” is one of my all-time favorites. Written by Bill Champlin, David Foster and Jay Graydon, the compositional structure is exhilarating and the combined vocal performances are the absolute bomb. Don Myrick’s sultry saxophone ride is worth a shout-out, too. The caboose on this train is “Getaway.” The song’s tricky onset is very dynamic and it’s also one of their tightest tracks. 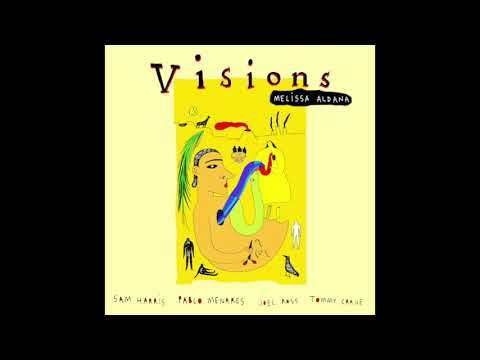 The punchy horns kick tail and my overall impression is that if Frank Zappa had been allowed to produce one of their sessions this might have been the result. It’s just odd enough to be fun and unpredictable. Earth, Wind and Fire’s glory days are behind them but I can testify that they still put on one hell of an entertaining show when they take the stage. In the 70s they blew a fresh breeze into what was becoming a too self-indulgent and overly sarcastic R&B scene. They then went on to demonstrate that dance material didn’t have to be boring when the disco craze was making millions settle for an inane repeating kick drum and a catchy hook. Also worth mentioning is that group founder Maurice White contributed to the writing of 12 of these songs and 7 of those went to #1 on the R&B charts, a feat that only a handful of artists have ever equaled. These guys were (and still are) the real deal. Serpentine Fire starts the album and sets the bar very high. The slow beat of drums, percussion, cow bells and rhythmic motion helps this one get the album going. Maurice's singing is some of the best here, and ofcourse the EW&F horn section (eventually named the Phenix Horns) is at its best on this one. Fantasy, the megahit of this album. About a man who takes a ride on a spaceship to find his dreams, finds the place called Fantasy. Verdine White's bass playing is so tight, sets the pace on this one clearly and Phillip Bailey's amazing voice...just superb. Then we get one of the many "interludes" of this album, which is kind of a EW&F trademark. This first one features Maurice playing his kalimba, which is an African finger piano, as he plucks it to make the distinctive African sound, again this becomes a trademark sound of EW&F. Jupiter continues their theme of space/fantasy travel and features Al McKay's great rhythm guitar work and some of my favorite EW&F horn work. The whole group shows off their vocals on this one. 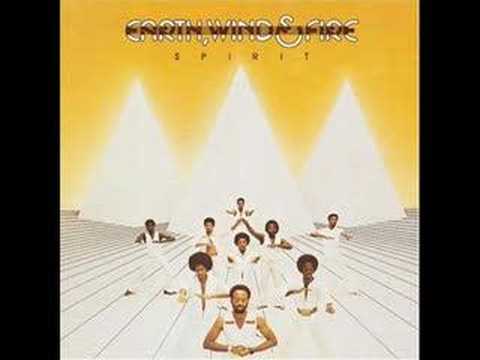 Earth, Wind & Fire are known for many things, on this album they solidified one long standing attribute of the group.....the funky, hot, mesmerizing love songs. Back in the 70's in Jr high, I soooo remember doing the thang on the dance floor with that cute girl to the tunes of Earth, Wind & Fire. To this day if I play a bunch of their slow songs, the wife knows what comes next! This album has three of the most amazingly written slow/love songs in R&B Loves' Holiday, I'll Write A Song For You and Be Ever Wonderful. The 2nd one features Phillip Bailey at his best vocally, so smooth in his falsetto voice...also some great 12 string acoustic work by Al McKay. Maurice White sings lead on the other two, but Maurice and Phillip together is vocal harmony, literally. Magic Mind, a quick funky tune featuring all the singers at their best, catchy chorus keeps this one afloat. 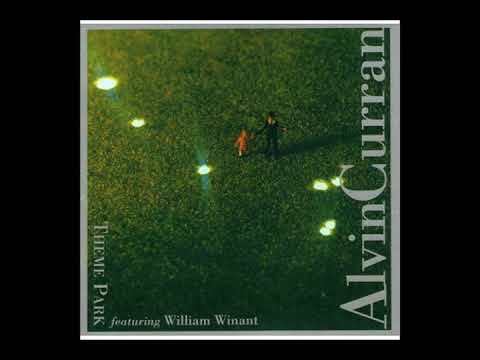 Runnin' (instrumental) just showcases the groups high level of instrumental talent, starting with a nice keyboard/synth entry by Larry Dunn. Much Brazilian musical influence on this one, percussion, horns, drums and the trademark EW&F vocal harmonies. EW&F encompass all that is good about music....Jazz, Fusion, Blues, Rock and World musical influences. This album has it all. A perfect place to start if you have any interest in one of the most influential R&B groups of the 70' and 80's......I have seen them live 6 times, their shows are amazing, you will not sit down, your feet, body, head are moving the whole time. Nothing less than 5 stars....simply a classic. With the great Mati Klarwein cover work, I knew I had to get this. Last Days & Time, Earth, Wind and Fire's third album (first for Columbia Records), was my first introduction to the band, without counting the well-known dance hits. This album made me realise that this band was more than just a popular disco band, they knew how to groove and rock in their own R&B-ish way. Although the album is made of mostly R&B tunes full of light strings and smooth vocals, there’s the occasional jazzy and funk headed composition, like the superb instrumental, 'Power', demonstrating how good they are at their instruments and at making hot funk, featuring Maurice White on the marvellous, overlooked instrument, the kalimba. 'Time is on your Side' and 'Remember the Children' are also great funky songs full of clavinet and catchy guitar riffs. As for the typical R&B songs, 'They Don't See' and 'I'd Rather Have You' are very entertaining and good at it, while the remaining songs, of course decent, I don't find anything particularly good/memorable in them. Definitely not one of EW&F's best albums, but still an enjoyable one, with some noteworthy compositions, that shows their transition of pure funk of their first two albums to the more R&B of later albums. Recommended, but if you're new to the band and want to hear something that makes them a worthy band, check the live album Gratitude where there’s the perfect sum-up of the band, their whole funk potential plus sweet poppy and dancing songs. If I had to pick an all-time favorite modern RnB record it would be this masterful blend of pop, jazz, funk, progressive rock and African fusion. Released in 1975 when this band was at its peak, this two record set contains a mix of live material and new studio cuts as well. I saw the tour from which this live material was pulled and EW&F at this time was one of the most incredible music ensembles I have ever witnessed. The show opens with Africano/Power Medley which is a high energy blast of big band rock-funk groove that features blistering sax solos from David Myrick. From here the pace doesn’t let up as the band heads straight into the fast funk energy of ‘Yearnin Learnin’ and then bam! !, everything stops so Phillip Bailey can step to the mic and deliver his soaring vocals on the beautiful ballad, ‘Devotion’. This was the EW&F formula at the time, furious fusion energy mixed with soulful ballads that featured soaring vocal harmonies. EW&F could do it all; the fastest horn section around, polyrhythmic percussion section, unreal falsetto vocal harmonies and some of the best progressive song writing for the time. Despite all the other talents and attributes of this group, its always been the songwriting that has impressed me the most. EW&F chord progressions and structures are unique and they stood far apart from the other RnB artists of their era. I’m not sure what the exact inspiration for some of their harmonic progressions are; possibly modern fusion bands, Ellington‘s orchestrations, 70s progressive rock and classical music are all possible contributors to their unique sound. There was always something very modern and even futuristic to the EW&F sound, and it is a sound that still sounds modern to this day. This is a band that followed no one and charted a brave new musical world of their own. No EARTH WIND & FIRE movie reviews posted yet.